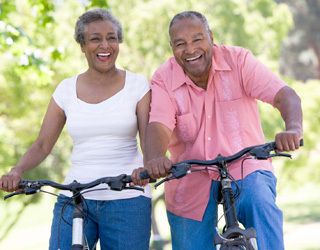 The federal health insurance program known as Medicare covers people who are 65 or older. It also provides coverage to people with disabilities and those with end-stage renal disease (ESRD) or renal failure. The Medicare Advantage (MA) Plan, also known as Part C, is an additional coverage plan to Original Medicare (Part A and Part B). Unlike Part A and B, Medicare Advantage Plans are offered by private companies. Approved by Medicare, these companies will provide you with benefits from Part A and B. They must ensure that you get the same coverage or better as Original Medicare. But there are many variations in Medicare Advantage plans. To know all of your options, this guide breaks down what Medicare Part C is. And, it explores how to use your MA Plan to cover your medical expenses. It’s important to note that Part C is an alternative to Original Medicare. MA plans are approved by Medicare, which pays private insurance companies to provide health services for those enrolled in these plans. To join MA, you must already be enrolled with Medicare Part A and Part B plans. You still have to pay your Part B premium, as well. If you join a MA plan, you still retain all of the benefits and rights to Original Medicare. What is included in Medicare Advantage Plans? Medicare Part C plans vary between different private companies. However, they must offer you Part A and Part B coverage. Private companies must only provide plans that are Medicare-approved, as well. Most plans combine hospital stays with coverage for visits to the doctor. There are also plans that include Part D or prescription drug coverage. However, there may be an additional premium for this coverage. There are always plans that may offer more. In some cases, hospice care is included in a Medicare Advantage Plan. There are also plans that cover more of certain services and less in others. This means that you may have a copayment for certain types of doctors’ visits with private companies. You may want to compare multiple MA Plans on MedicarePartC.com. This will allow you to see which plans are the best for your interests. And, you can understand how Medicare works with private companies, so that you get the lowest payments for health insurance. In all Medicare Advantage plans, services must cover what Part A and Part B covers; however, they don’t have to provide hospice care. Your MA Plan covers health benefits that are not related to hospice care. All plans will exclude certain services and include others. This allows you to pick and choose, in some cases, what services you need and what services you do not. Almost everything is covered under Medicare Advantage plans. So, it’s best to speak with a private company when you have chosen a plan. This helps you to find out exactly what is covered if you have questions. With these plans, you are required to use facilities and doctors allowed within your HMO. You will not be covered for any out-of-network visits to doctors and facilities. These plans provide a primary care doctor, who manages all of your healthcare needs. You may be allowed to see a specialist in the HMO network. But you need to get a referral from your primary care doctor first unless it is a visit to an OB-GYN. The requirement for referrals is also waived for emergency care and urgent care when out of your network. You may currently have a doctor who is not in the HMO under Medicare Advantage. If so, you will have to select a new physician within the HMO network. You may want to see an out-of-network doctor or a nonpreferred doctor without a referral. In these cases, you are responsible for all of the costs. Neither Medicare nor the HMO will cover any part of the cost. There are some HMO plans that offer point-of-service (POS) options. These options allow you to see doctors outside the plan’s network, but at an additional cost. HMOs that offer this option also limit when you are allowed to use the benefit. Some HMOs provide for Part D or prescription drug coverage. But not all of them will, nor are they required to do so. What happens if you pick a HMO that does not include prescription coverage? You can then select Part D coverage outside of your Medicare Advantage plan. A Medicare PPO has a network of providers. If you see an in-network provider, you pay a lower copayment than if you want to go outside of the network. If you do decide to go out of network, the PPO covers you to a certain cost. Then, you must pay a higher copay. You don’t need a referral to see a specialist or go to an out-of-network provider. Most PPO plans include prescription drug coverage. A PFFS plan will allow you to see any doctor or hospital approved by Medicare. But they must meet the terms of your plan’s payment. Before you enroll in a PFFS plan, you must speak with your doctors and healthcare providers. You need to know if they accept your plans terms and conditions for payment. The provider must agree to the billing in the plan in order to provide services. The private company will also decide how much it will pay. And, they will determine how much you will pay for services rendered by these out-of-network doctors or hospitals. C-SNPs (Chronic Condition Special Needs Plans) – This refers to individuals with chronic and disabling conditions. D-SNPs (Dual Eligible Special Needs Plans) – This refers to individuals who qualify for Medicare and state healthcare programs, such as Medi-Cal in California. I-SNPs (Institutional Special Needs Plans) — This refers to individuals who are in a nursing home or other institution. It also includes those who still live at home, but need home healthcare equivalent to living in a nursing home facility. MSAs are new to Medicare, having been introduced in 2007 for Medicare Advantage Plans. Not all private companies provide MSAs. These plans are similar to Health Savings Account (HSA) plans that are available outside of Medicare. If you want a MSA plan through Part C, you still have Medicare coverage. And, you are protected under Part and Part B. All MSA plans vary by the private company offering them. The first part of any Medicare MSA plan includes a high deductible. The plan only covers your costs once you meet a high annual deductible. This varies by the plan that you choose. The second part is a savings account, where Medicare MSA plans deposit money into your account. You can choose to use this money from the savings account to pay healthcare costs. You join a high-deductible Medicare MSA plan. You set up a MSA with a bank that the plan selects. Medicare puts aside money each year for healthcare. The plan puts some money into your accounts. The money in your account and interest on that money isn’t subject to taxes, as long as it’s used to cover medical expenses. You use money in the account to pay for medical care costs, including those not covered by Medicare. When all the money in your account is used up, you have to pay for Medicare-covered services out of pocket until you reach your plan’s deductible again. When you pay out of pocket, doctors and hospitals can’t charge you more than Medicare-approved amounts. When you reach your deductible, your plan covers Medicare-covered services. Money that is left in your account at the end of the year stays in your account. It may be used for future healthcare costs. If you did use your account, you have to file a special form when filing taxes. This shows that it was used for medical expenses. Understanding the different parts of Medicare Advantage plans can help you choose the right one to meet all of your needs. You can look at different plans on MedicarePartC.com to compare. Or, you can simply call our toll-free number, (888) 228-6334 to speak with a licensed healthcare professional. You may prefer to explore HealthNetwork.com. Here, you’ll find a diverse selection of Medicare Advantage plans.